The release of Assassin’s Creed Odyssey is nearly upon us. This launch debuts plenty of firsts for Ubisoft’s long-running series. Chief among these new additions are RPG mechanics and a choice-based system for storytelling. 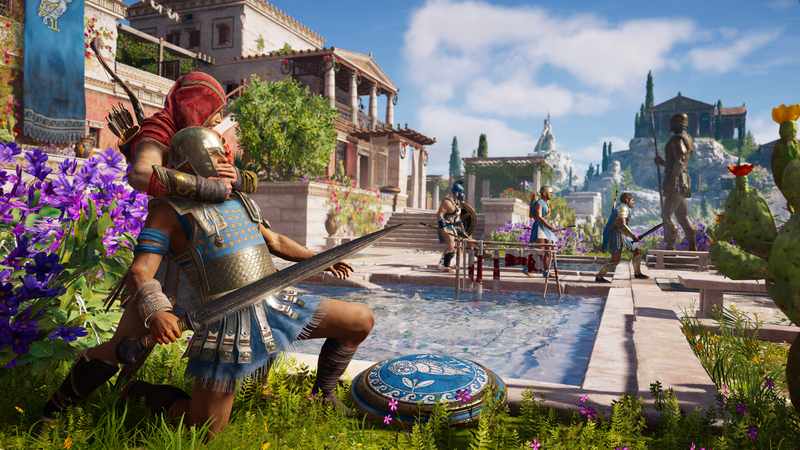 However, the change likely to garner the most buzz is the decision to play as either a male assassin, Alexios, or a female assassin, Kassandra. It’s a bold step for the series, a step that Game Director Scott Phillips hopes to see reflected in future entries. I think it would be a mistake to limit our players, limit our fanbase from as many people as possible. I don’t know why we would go back. We should continue pushing in this direction, bring in more players, more fans to enjoy this experience and make it their own experience. For Assassin’s Creed games developed by Ubisoft Quebec, it seems the choice to play as a male or female assassins is here to stay. Whether choice of gender makes its way into AC titles developed by other studios will probably be kept under wraps for the time being. After all, another fresh entry won’t follow Odyssey until at least 2020, since the series is taking a year off, barring extensive DLC plans, in 2019. Fans can play as either Alexios or Kassandra when Assassin’s Creed Odyssey arrives on October 5, 2018.